This striking White Gold & Diamond Pendant Necklace boasts a delicate and sophisticated, yet modern design - Suitable for any ocassions and perfect to match a variety of outfit styles. 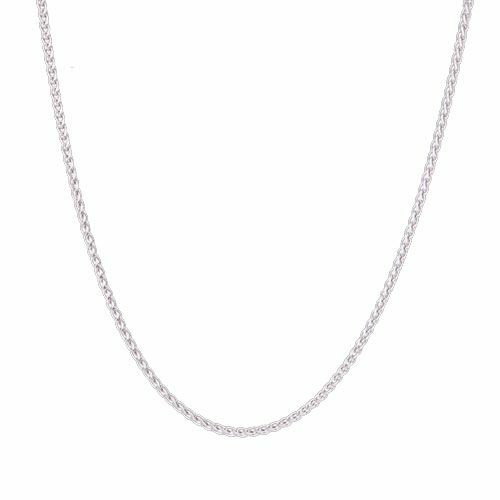 The Designer Initial Necklace is made from 9ct White Gold, set with shimmering White Diamonds on a fabulous 18inch White Gold Spiga Chain and is the ideal gift choice for someone special. The Steffans Diamond Initial Pendant Neckalce boasts a delicate and sophisticated design. Suitable to match a variety of outfit styles and the perfect addition to any fine jewellery collection. 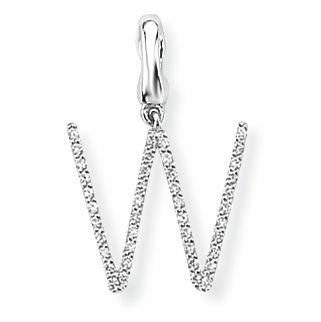 This beautiful 9ct White Gold Diamond Pendant is available in all the letters of the alphabet, set with stunning White Diamonds - Suspended on a beautiful 18 inch 9ct White Gold Spiga Chain Necklace. Steffans White Gold Inital Necklace is an ideal gift choice for someone special. The Diamond Alphabet Pendant Necklaces offer a timeless desgin, suitable for any occasion. This fabulous Initial Diamond Necklace can be combined with matching pieces from the Steffans White Gold Diamond Jewellery Range. Including elegant White Gold Earrings andmatching White Gold Diamond Rings for a truly eye-catching look. 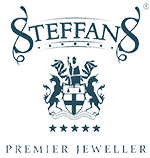 Purchase this designer White Gold Diamond Necklace from Steffans Jewellers today for FREE Next Day Delivery. Complete with 60 day returns on all orders and an optional gift wrap service. Feel free to call our team at 01604 622090 or e-mail online@steffans.co.uk and we will be more than happy to assist you!